Q: How do I enter the race? Q: Who is organising this race? This race is organised by the members of Metros Running Club, led by Race Directors Spencer Millbery and Paula Kanesanathan. The start and finish are both located within the playing fields of Harrow School. The postcode for sat nav usage is HA1 3GF. This will take you to Garlands Lane from where you can access the event parking. Free parking is limited and we strongly recommend you car share wherever possible. The race headquarters are a short walk from either Harrow-on-the-Hill station, served by both the Metropolitan line underground or over ground trains from central London or the Midlands. Northwick Park station is also close (Metropolitan line). Slightly further are both Sudbury Hill or South Harrow stations, served by the Piccadilly line. Q: What is the course? The course comprises two laps. The first lap starts on a track among the playing fields of Harrow School, sending runners up notorious Football Lane twice before climbing towards Peterborough Road. From there you will follow a left hand block encompassing London Road, Sudbury Hill, Sudbury Court Drive, Watford Road, Kenton Road and Peterborough Road. The second lap takes you to a marshalled cut-off on Watford Lane where you will turn left onto a track through the playing fields towards the finish line. There will be no road closures during the race and all running will take place either on track or on the pavement. The route will be marshalled to direct you and for your safety. Please be vigilant at all times and follow the instructions of the marshals. There is a water station out on the course which you will pass before the 4k mark, and again once you are at 8.5k. Water will also be provided at the finish. Q: Are the roads going to be closed to through traffic during the race? There will be no road closures during the race and all running will take place either on track or on the pavement. Where the route requires you to cross a road marshals will be present for your safety. Please be vigilant at all times and follow the instructions of the marshals. Q: Will there be a lead vehicle/cyclist? We will not have a lead vehicle/cyclist on the course but we will have adequate signage and marshalling to ensure you are aware of the route. A copy of the course map is available on our website for review and familiarisation prior to the race. We will have a “sweep” runner to ensure the last runner does not get lost. Q: Is there a minimum age for this race? You must be at least 16 years old on 17th February 2018. Runners who are not yet 18 on this date, will have to provide parental permission due to UKA rules. Q: What is the closing dates for entries? If the race limit of 275 has not been reached, we will be accepting entries on the day, however early entry is recommended as we cannot guarantee availability on the day. Q: I think I’ve entered this race but I can’t find my confirmation email anywhere – what should I do please? harrowhillrace@hotmail.com stating your name and date of birth and the date when you think you entered. We’ll check our database and then get back to you. Q: Does the course have a time limit? You need to complete the course in 90 minutes, a pace of 15 minutes per mile. Also, anyone who hasn’t reached the trail cut-off at approx 2.75 miles on Watford Road for the first time by the time the official race clock shows 40 minutes will be directed to retire. Q: When will I receive my race pack? We will not be posting out race packs prior to the race this year. You will receive a race programme around 10 days prior to the race which will contain all relevant information. Race numbers can be collected at a Registration Desk at Race HQ from 0930h on race day. Please allow sufficient time to collect your race number and walk to the start prior to the race commencing. Please be prepared to show a copy of your confirmation email prior to picking up your race number. Q: Can I have a refund if I have entered but am subsequently unable to run the race? Sorry, but the Race Rules state that we are not able to give refunds. Q: I’ve entered the race but now find that I can’t do the race after all – do I need to inform anyone that I won’t be running? No, there is no need to notify us, unless you wish to transfer your entry to someone else. Q: I won’t be able to do the race myself, can I give my race entry to someone else? We will allow the transfer of entries if you are unable to attend the race. 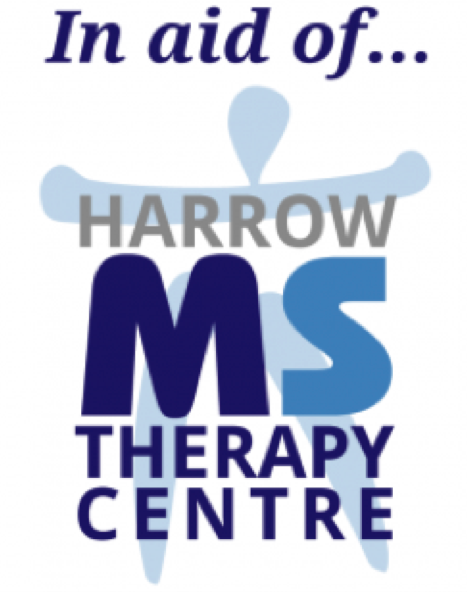 To do this you must email harrowhillrace@hotmail.com prior to the 11th February giving the name and email address of the person you would like to transfer your entry to. Please note entries can only be transferred in advance and we will not be able to accept any changes on the day that haven’t been previously agreed. Q: I won’t be able to do the race myself, can I defer entry to next year? Sorry, but no. We don’t transfer places between races. Q: Can I wear earphones during this race? The use of an iPod, MP3 player or any similar device with earphones is prohibited. Although you will be running on the pavement for the majority of this race we want you to be alert and aware of everything going on around you, especially at the few points where you have to cross a road. You should also be able to hear any advice or instruction that a marshal may need to give you. So for your own safety, and for the safety of those around, we ask that you don’t wear earphones. Q: I’m bringing my family to watch while I’m running. What facilities will there be for them? If the weather is inclement, please note that there will be limited shelter – please dress for the weather. However, we do have toilets and showers available, and we will have a variety of refreshments on sale – teas, coffees, soup, and cakes. The leading runners are expected to complete the course just after 11am, so there should be a constant stream of action within half an hour of the the start hooter sounding. Q: What facilities do you provide for storing my bag? We will have a baggage drop in the Blue Pavilion which is en route from Race HQ to the start line. Baggage will be left at the owners risk and display of your race number is the only way to have your bag returned to you. Q: If the weather’s bad on race day, how can I check if the race is going ahead before I set off? Please check the Metros Running Club website as we will update this if there is any information to convey close to the race start. Unfortunately as we have certain fixed costs to cover which we will incur irrespective of whether we cancel the race or not, we will be unable to offer refunds. However, any surplus after covering these costs will be allocated to a charity to be decided by the Metros Running Club Committee. You can also “like” us on Facebook – search for Metros Running Club. Again, any information regarding weather or race announcements will be communicated by the Facebook page or by email.. The course comprises two laps. The first lap starts on a track among the playing fields of Harrow School, sending runners up notorious Football Lane twice before climbing towards Peterborough Road. From there you will follow a left hand block encompassing London Road, Sudbury Hill, Sudbury Court Drive, Watford Road, Kenton Road and Peterborough Road. Also two unique ‘King and Queen of the Hill’ awards, for the first man and woman to pass the crest of the hill on the first lap. However they must also complete the course. Prizes will be awarded at the Race HQ as soon as possible after the race. Entries on the day will be possible, subject to the 275 limit not being reached.